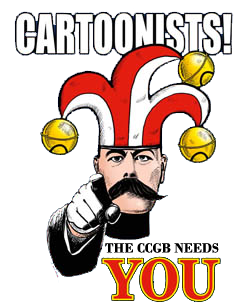 You are here: Home › Cartooning News › Events › Tim Talks! 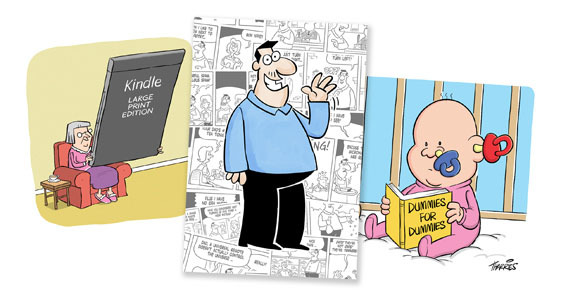 Cartoonists’ Club Member Tim Harries presents ‘An evening of Cartoons and Comic Strips’. This will be a lively and fun illustrated talk by Newport based cartoonist and creator of the South Wales Argus‘ ‘Never Say Dai’ comic strip, Tim Harries. There will be the opportunity to chat with Tim and see some of his original artwork. Tim enjoys a successful cartooning career in which he has drawn for an international clientele, national newspapers, Punch, New Statesman, Reader’s Digest, Saga Magazine and many others. 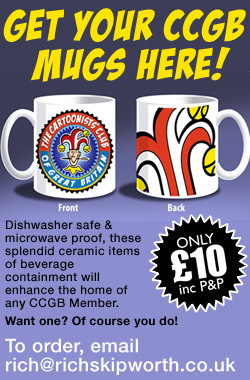 During eighteen years of drawing ‘Never Say Dai’ Tim has given us a humorous reflection of our local news and culture. Here’s a chance to hear about the strip from the man behind the drawing board and learn about his life and work as a cartoonist. Dates & Times: Tuesday 12 January 2016, Doors open 6.30pm for 7.00pm start. Price: Admission free to members, £2 for non-members. Organised by the Friends of Newport Museum and Art Gallery. Buy ‘Never Say Dai collections’ here.